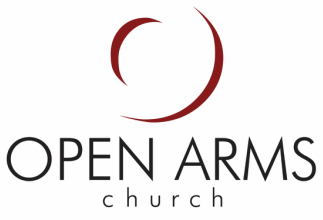 The Open Arms Institute is an opportunity to walk through some core aspects of the Christian faith and to intentionally focus on some key topics that we believe are important for believers to know and apply to their lives. Discover the overall message and learn how to read and understand the different books of the Old Testament. Essential beliefs every believer should know. New believers as well as seasoned believers will be strengthened by this in-depth look at the core of our faith. A great first Institute class to take. If you've ever struggled to understand the Bible, join us as we learn practical skills for grasping, applying, and sharing God's word. Can I take more than one topic this Fall? Yes! Topics (or classes) will meet on different nights during the session and while everyone is encouraged to take at least one class this Fall, you are welcome to take as many as your schedule allows. Will these topics be offered again in the future? Yes! Our hope is to offer these same topics on a regular basis in the future. What if I’ve already learned all of this stuff? Great! Find someone who hasn’t yet, attend an Institute class with them and use it as a chance to walk together. Will it just be lecture? No! Each class will have a teacher and they will teach, but our goal is to give room for interaction and questions. You can contact any of the pastors personally or by email. How Will it Be Taught? Classes will meet weekly for 90 min.